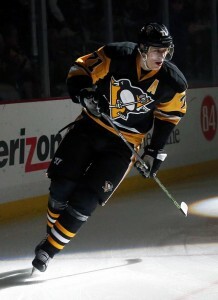 The Pittsburgh Penguins picked up more than just two points in their 4-3 victory over the Washington Capitals Wednesday night. They regained their confidence against Metropolitan Division foes which has been a glaring blemish on the Penguins impressive season record this year. 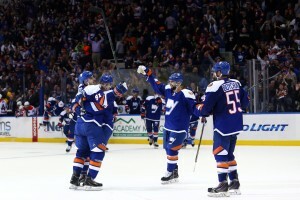 The victory against Washington was their first victory against a Metropolitan Division opponent currently in the playoffs since their dramatic 3-2 shootout victory on home ice against the New York Rangers on November 15. Since that date, the Penguins record against the New York Islanders, Rangers and Capitals was a combined 1-6-2, including Wednesday’s win. Riding a two-game winning-streak, the Pittsburgh Penguins were looking to avoid a season sweep to Alexander Ovechkin and the Washington Capitals. Goals from Patric Hornqvist, Brandon Sutter, Sidney Crosby and Chris Kunitz propelled the black and gold to their 35th win of the season. Evgeni Malkin added three assists on the evening. Similar to many Penguins and Capitals contests, the stars shined, special teams was a factor, Alexander Ovechkin scored, and last but not least, the game was filled with intensity. With goals from Crosby and Ovechkin, the fans got their money’s worth right there. Add in Malkin’s dominating play along with stellar goaltending from both Marc-Andre Fleury and Braden Holtby, they basically saw a cheaper playoff game. The way these two teams are battling, there is a very distinct possibility that they could square off in the first round and have a rematch from their seven-game classic from the Penguin’s 2009 Stanley Cup run. The Penguins currently sit three points ahead of Washington for the third spot in the Metropolitan Division. To say last night’s victory was big, crucial, or whatever adjective best suits the situation is a grave understatement. For the first time in the last six, seven years, the Penguins are playing with a fire lit under them. They are having flashbacks to the 2007-08 or even 2008-09 season where they had to fight for their spot in the playoff standings rather than coast in with a one, two, or three seed. Fortunately for the Penguins, in the last 21 games of the season, they have one game remaining against the New York Islanders on April 10, the second to last game of the season. Out of the seven remaining divisional games, the Islanders are the only team currently in the playoffs that the Penguins would face. Two games against the Columbus Blue Jackets and Philadelphia Flyers and one respectively with the New Jersey Devils and Carolina Hurricanes, the Penguins need to capitalize on these games heading into the playoffs. Against the four aforementioned teams, the Penguins are a combined 5-4-2, a record that is simply unacceptable for the Penguins at this juncture. 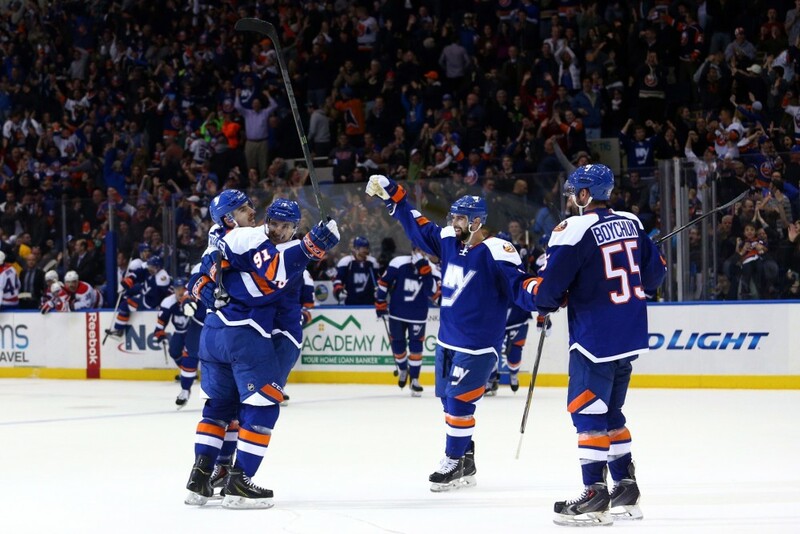 Their best success has come against New Jersey, posting a 3-1-0 record, followed by Carolina with a 2-1-0 mark. The Penguins have picked up a combined two points in four contests against neighboring state rival Columbus and cross-state rival Philadelphia. With four of their final seven division games against the latter two teams, the Penguins need to deliver more than overtime and/or shootout losses. Yes, I understand that is as simplistic as it can be, but how many times do we hear hockey players in their interviews say, “We just gotta keep the game simple.” Simple is not always bad. One of the main things to take away from the Penguins victory over the Capitals is that their star players came to life. Crosby with a power play goal. Sutter with a short-handed marker. Hornqvist and Kunitz chipped in from the wings. Malkin racked up three points. They are the key to the Penguins postseason success and that is no secret. For several years, it seems as though the Penguins often are their own worst enemy, over thinking on the ice and being defeated as soon as one thing does not go their way. Their recent issues have been their poor play against divisional opponents. Of course the Penguins do not want to give up three goals against the Capitals, but at this point, they should be relieved that they had the fourth. A disappointing 8-11-4 record against the Metropolitan Division is an ugly mark on their season, there is no denying that, but from here on out, they are 1-0-0. In order to win a Stanley Cup, one cannot afford to dwell on the past for too long. From here on out, the Penguins can halt their critics, at least until Sunday when they square off against Columbus. If the Penguins can come out victorious, the division better be nervous. 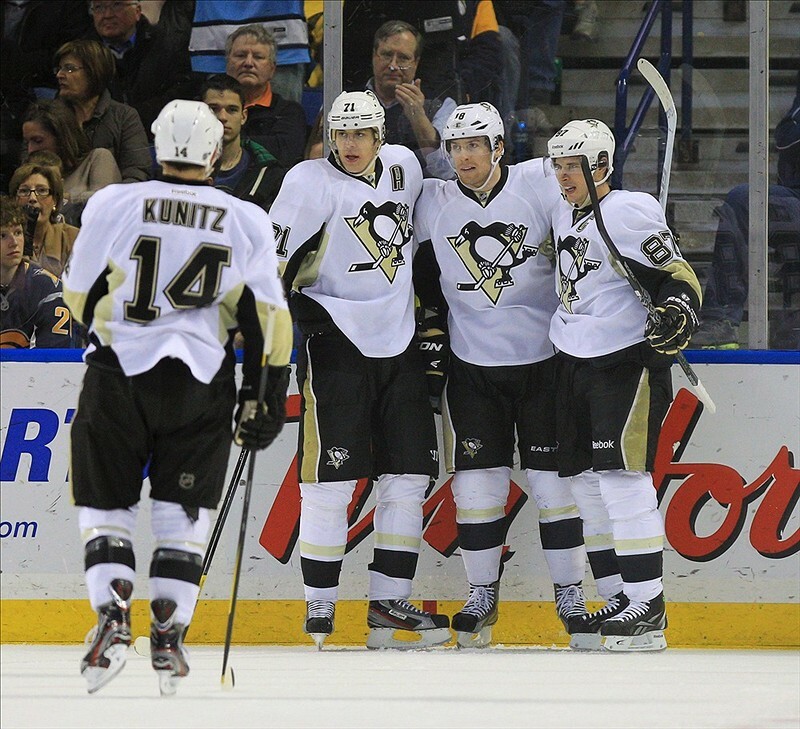 The Penguins are finally finding their stride again and in perfect time.